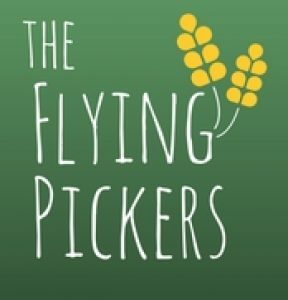 This is an easy find for the beginner picker. You will probably smell the garlic leaves before you see them. If you are like us then you will always be tempting to head for the mountains in Springtime. Blue skies, fresh air and sunshine are on the perfect ingredients for a nice walk in the woods. From the middle of February to the end of April you will find wild garlic crowding woodland patches throughout Europe. While both the leaves and flowers are edible it is best to pick the leaves early in Spring, the flowers pop up later in April and these are the perfect addition to your early summer salads. This pungent plant is hard to miss if you can get to the right spot of a forested area. They spring up mostly in old, damp wooded areas. In the UK visit the old woodlands in Cornwall and Devon to seek out this delicious ingredient. In Ireland, visit Rathdrum just a short trip outside Dublin or take a stroll in the magical woodlands of Ballyhoura in the Limerick countryside. First, find a woodland , picking some fresh leaves. Next thoroughly wash your garlic leaves and place them in the blender with a pinch of salt and pepper. Grate and add the parmesan cheese to the blender. Add two table spoons of olive oil and blend the mixture until it is smooth. Now it is time to add your nuts and give the pesto some crunchy texture. Blend the nuts gently into the pesto mixture. To finish the dip ad a splash of lemon juice and I always add an extra pinch of salt at the end. Serve alongside homemade tortillas straight from the oven. We promise this will leave you hooked on wild garlic! NOTE: If you are a beginner picker than you will recognise wild garlic by it’s smell. Don’t mistake it for other poisonous plants.